When I become willing to accept my own powerlessness, I begin to realize that blaming myself for all the trouble in my life can be an ego trip back into hopelessness. Asking for help and listening deeply to the messages inherent in the Steps and Traditions of the program make it possible to change those attitudes which delay my recovery. Before joining A.A., I had such a desire for approval from people in powerful positions that I was willing to sacrifice myself, and others, to gain a foothold in the world. I invariably came to grief. 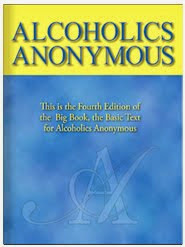 In the program I find true friends who love, understand, and care to help me learn the truth about myself. 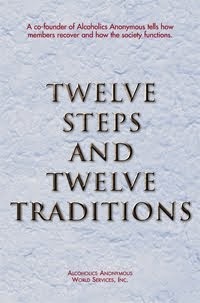 With the help of the Twelve Steps, I am able to build a better life, free of guilt and the need for self-justification.